Yesterday we went to a cat cafe. Though the actual name of the place is Felis Ristorante and Cat Lounge, we normally refer to it as "neko cafe". 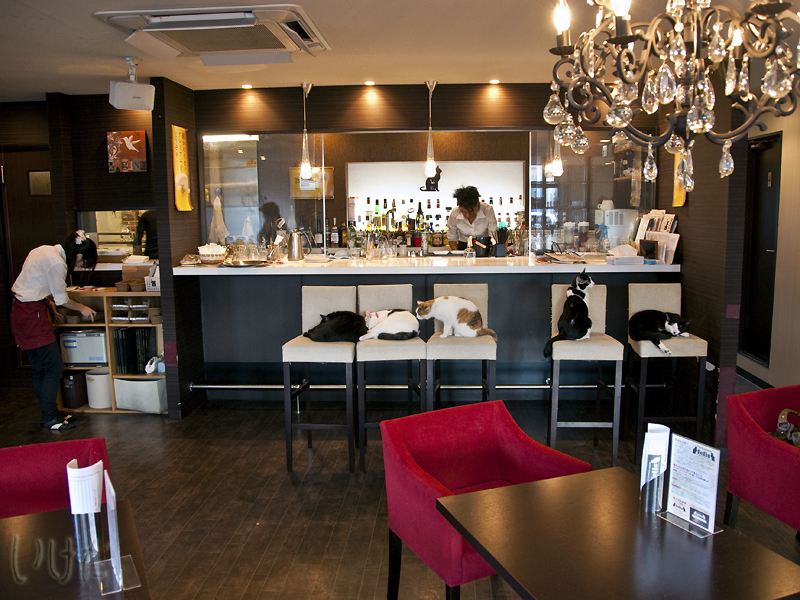 This one is not part of any neko cafe chain, it's an independent establishment and a cat sanctuary. 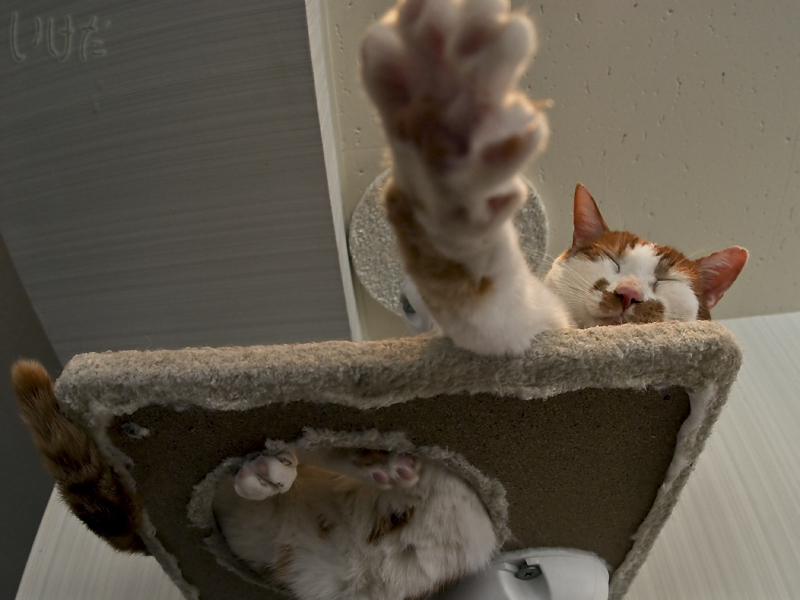 Or sleeps here... He just crawled under my coat and took a nap. This is my entry for the Show Me Japan meme. Click on the image below to see what other people are posting about Japan this weekend. PS. 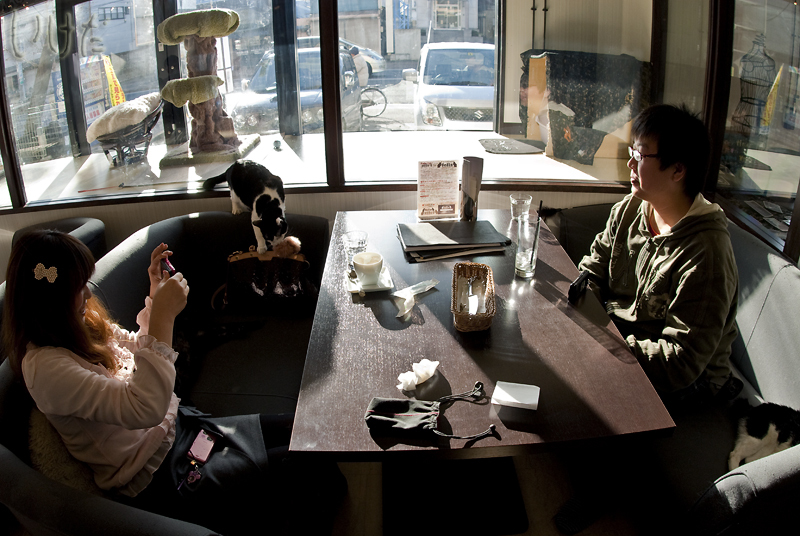 First time we visited Felis was back in August 2009. Here's that blog post. 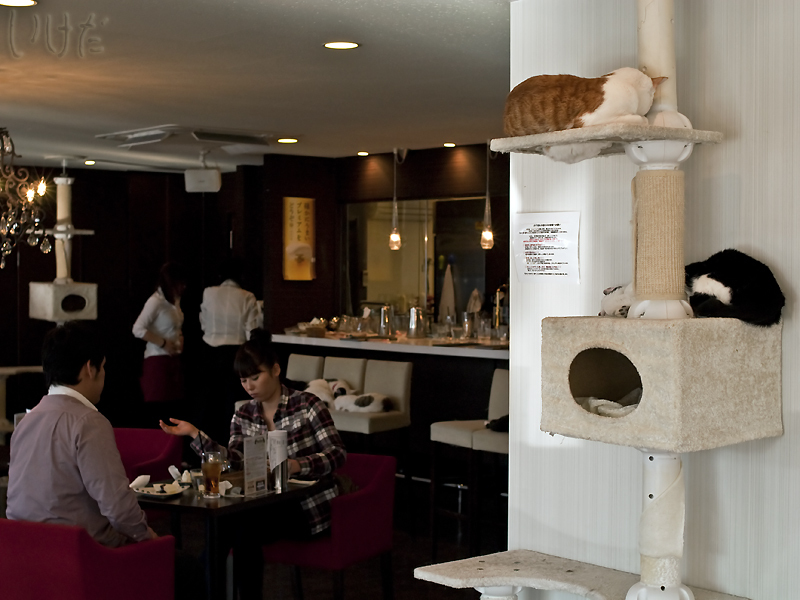 Great place, though not really sure I would want 30 cats sharing my lunch. I quite like cats, though I could not eat a whole one! Great photos.